Join our monthly workday with IMPACT! Missions, and you’ll really have an “impact” on someone’s life. Usually on the third* Saturday of each month except December, we join with IMPACT! 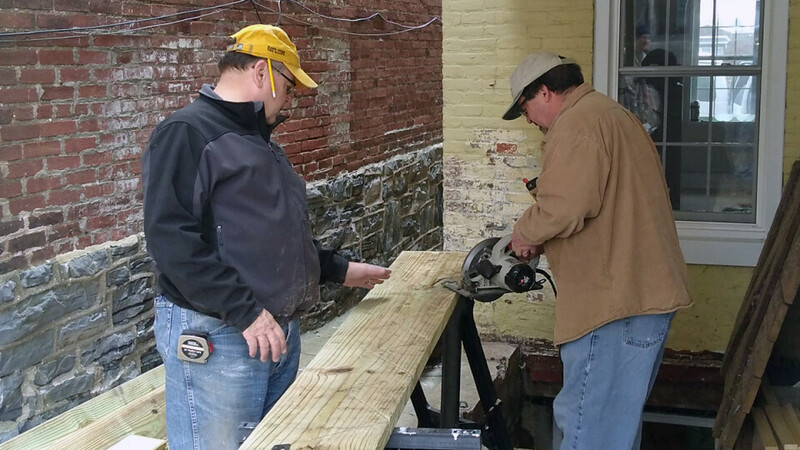 Missions, a faith-based local ministry, to help repair and renovate homes in Lancaster city and county. Our goal is to make sure everyone has place to live that’s safe, warm and dry. You don’t need to be an expert, just be willing to help and learn. Contact Roger Kresge to find out how you can help. *Note: Effective in February we have changed from the 4th to the 3rd Saturday of the month!